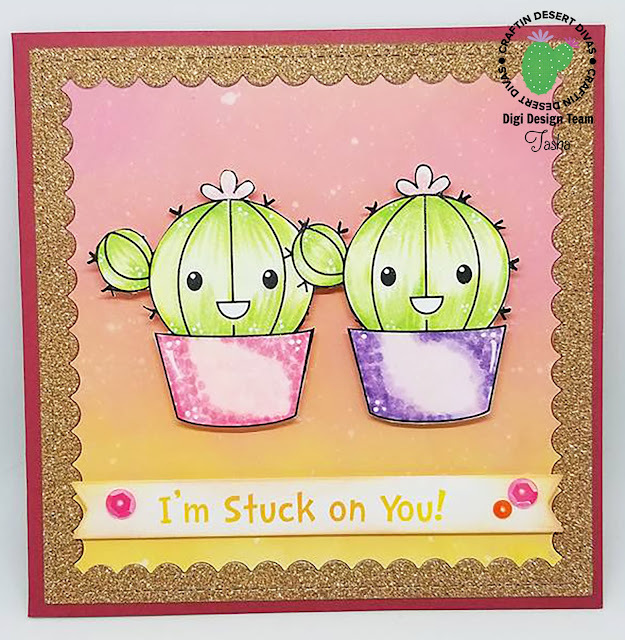 Craftin Desert Divas Blog: I'm Stuck On You! Hello CDD Friends! 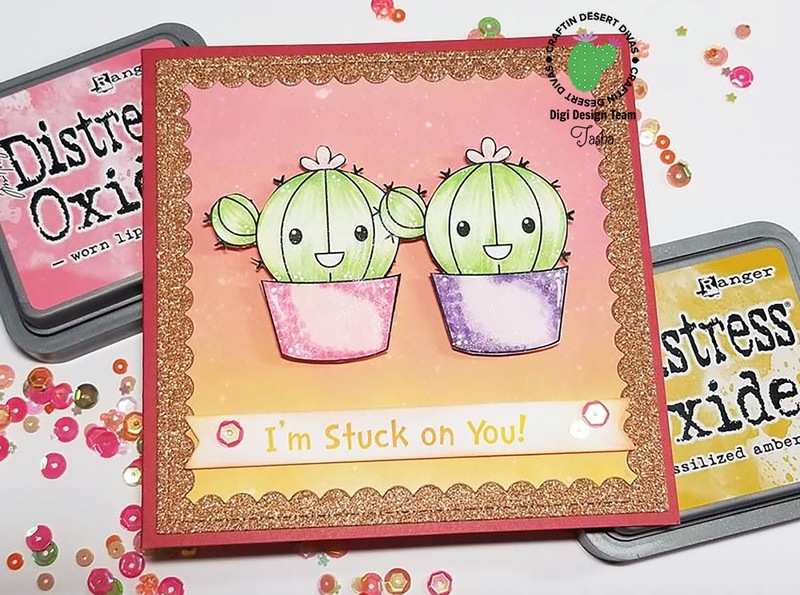 Tasha here with a fun new card created with the adorable "Stuck On You" digital stamp set. 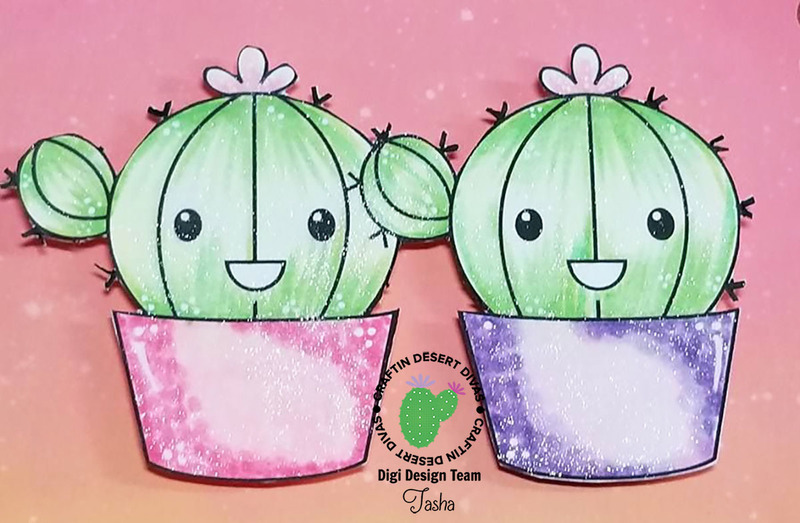 The fun cactus images were printed in black and colored with markers. For additional detail, I used clear glitter and white gel pen; so cute! 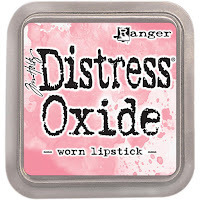 The background was created by ink blending Distress Oxide ink and adding random water drops. The pink and golden colors give a pretty desert sky look and really allows the digital images to pop! The sentiment selected was "I'm Stuck On You" and it was printed in a pretty ombre font color. I also added coordinating ink to the edges to blend with the background and attached random sequins to each end of the banner. 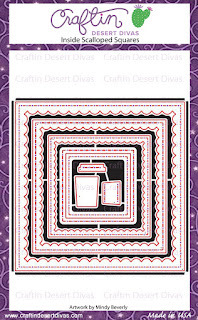 Lastly, I die cut a glitter scalloped frame and layered it on a deep red square card base to complete the design. This card is perfect to send anytime of year and I cannot wait to give it to someone special! 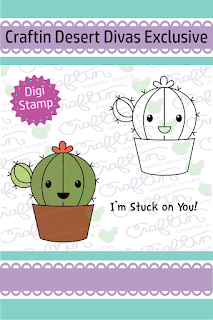 Thanks for stopping by and be sure to check out the CDD shop for the "Stuck On You" digital stamp set! Love how the background resembles the sun setting, really allows the adorable cacti to pop off the card. 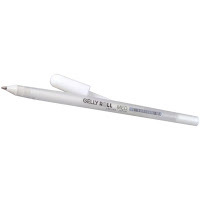 I am amazed at how beautifully you colored the entire piece with only markers. It looks as if it were painted with watercolors, you truely have a remarkable gift. Omg this are the cutest ever! 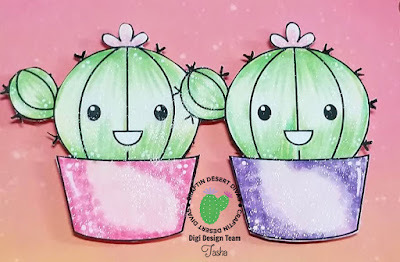 I love the cacti, they are so adorable!